People use drugs, legal and illegal, because their lives are intolerably painful or dull. They hate their work and find no rest in their leisure. They are estranged from their families and their neighbors. It should tell us something that in healthy societies drug use is celebrative, convivial, and occasional, whereas among us it is lonely, shameful, and addictive. We need drugs, apparently, because we have lost each other. Especially among Christians in positions of wealth and power, the idea of reading the Gospels and keeping Jesus’ commandments as stated therein has been replaced by a curious process of logic. According to this process, people first declare themselves to be followers of Christ, and then they assume that whatever they say or do merits the adjective “Christian”. Lovers must not, like usurers, live for themselves alone. They must finally turn from their gaze at one another back toward the community. If they had only themselves to consider, lovers would not need to marry, but they must think of others and of other things. They say their vows to the community as much as to one another, and the community gathers around them to hear and to wish them well, on their behalf and its own. It gathers around them because it understands how necessary, how joyful, and how fearful this joining is. These lovers, pledging themselves to one another “until death,” are giving themselves away, and they are joined by this as no law or contract could join them. Lovers, then, “die” into their union with one another as a soul “dies” into its union with God. And so here, at the very heart of community life, we find not something to sell as in the public market but this momentous giving. If the community cannot protect this giving, it can protect nothing. Copyright 2016 Wendell Berry. 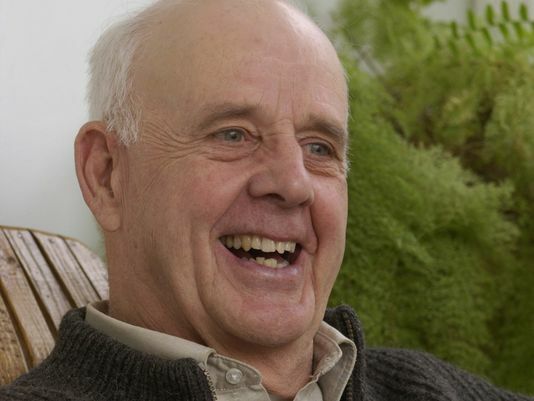 These quotations are drawn from a variety of essays and novels by Wendell Berry. For a recent collection of his prose about American foreign and military policies, see Our Only World: Ten Essays. For a collection of his essays about American culture and the environment, see The Art of the Commonplace: The Agrarian Essays of Wendell Berry. This entry was posted on September 23, 2016 by Vox Populi in Opinion Leaders, Personal Essays, Social Justice and tagged On Love Freedom and Community, Wendell Berry.